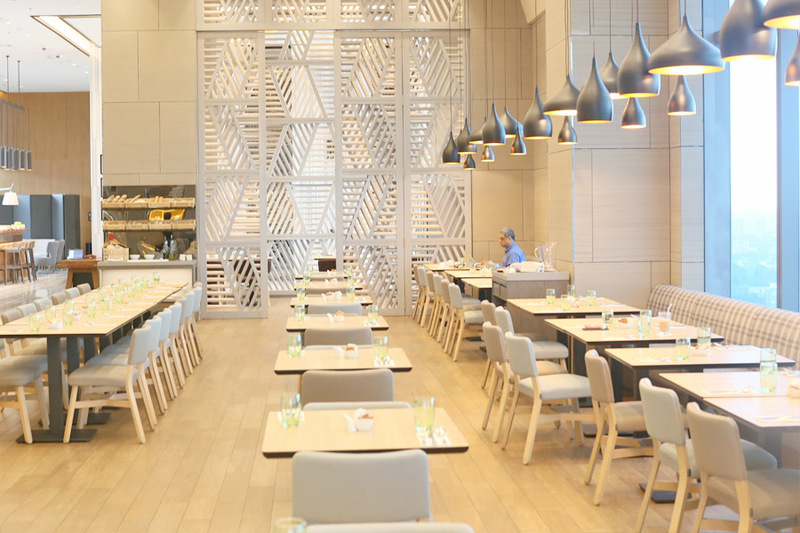 Ready for All-you-can eat Wagyu, Seafood, Champagne Brunch and more? I think we can all agree that Singaporeans love buffets, AND good deals. Now you can score 1-for-1 buffets and up to 50% OFF discounts to more than 20 Top Buffet Spots in Singapore, with buffet prices starting from $19.80++ for 2 diners. 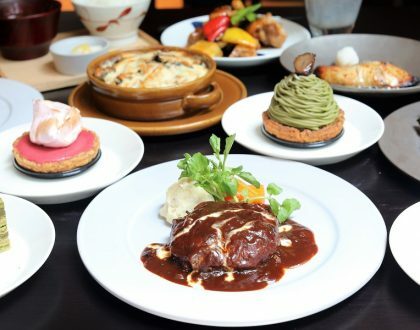 The list includes top-tier buffet restaurants in Singapore such as Edge, Oscar’s, Ash & Elm, Triple Three Restaurant, Seasonal Tastes, The Carvery, Sky 22, and Shin Minori (Katong Square). 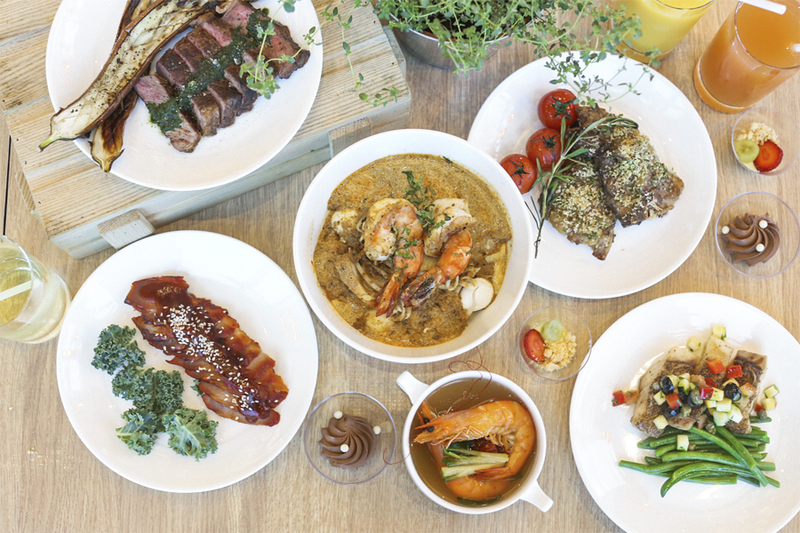 Here’s how it goes: Chope and Visa have partnered to bring you unbeatable “Buffet-licious” deals, so you can enjoy more, and at a lower cost. All you need to do is to pre-purchase these dining vouchers to enjoy discounts off the meals. If you are for fresh produce and quality food, this is for you. Ash & Elm has revamped their brunch classics, featuring some of the best of Spring’s produce, from asparagus and spinach, to rhubarb. 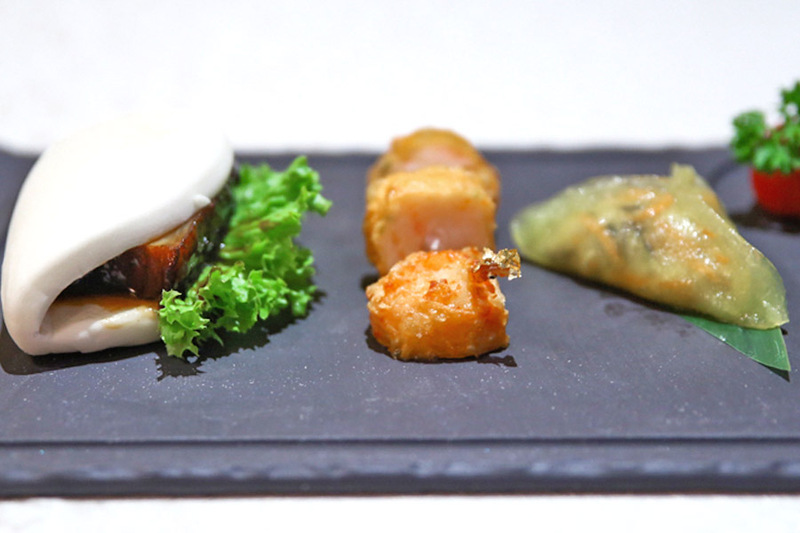 There are three distinct themes: the land, the sea and the garden, in which you can choose from a selection of nine à la minute petit plates. Aside from the plates, Ash & Elm boasts a wide selection of premium seafood on ice, including Boston lobsters, French oysters and Australian yabbies; succulent roasts from the signature Charcoal Grill oven; and luscious caviar. My personal recommendation would be the Basil Risotto with mushrooms, parmesan, and parsley under the “From the Garden” category. Served as a small plate to the table, you get a creamy dish enriched with mushrooms, and completed with the light aroma of basil. While most people have the impression that risotto can be heavy, this is easy on the palate, yet equally satisfying. Did you know that Triple Three at Mandarin Orchard Singapore offers a different buffet theme every night? These include International Mondays with free-flow Kirin draught; Foie Gras Tuesdays; Kumamoto Wagyu Wednesdays; Okinawa Thursdays featuring Blue Fin Tuna and more; and Lobster Weekends. Besides the themed food, look out for their seafood medley, with over ten live stations and a delectable dessert collection. Tip: Do not miss out the dish of the day during the weekends – Lobster Mentaiyaki. 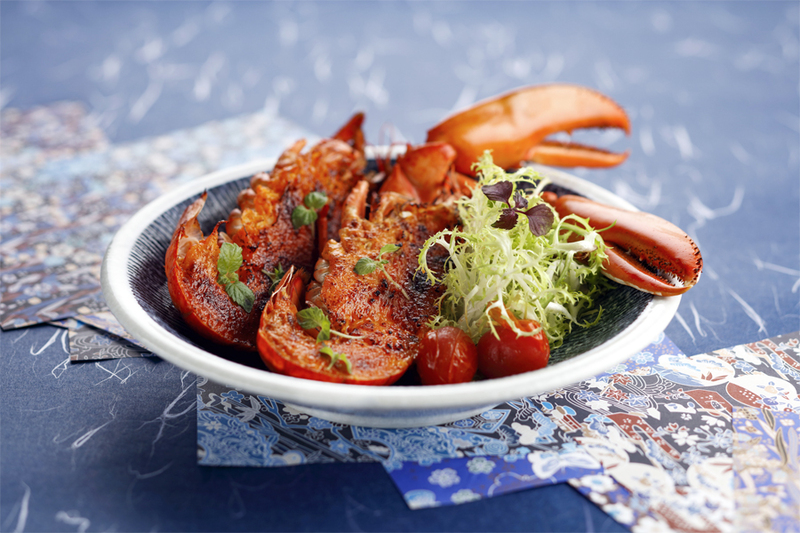 This signature dish features fresh lobster covered in savoury mentaiko cream, grilled to glorious perfection. Buffet-licious Deals: Enjoy 1-for-1 deals when you pre-purchase the Lunch Buffet and 50% off the 2nd diner when you pre-purchase the Dinner Buffet at Triple Three Restaurant. 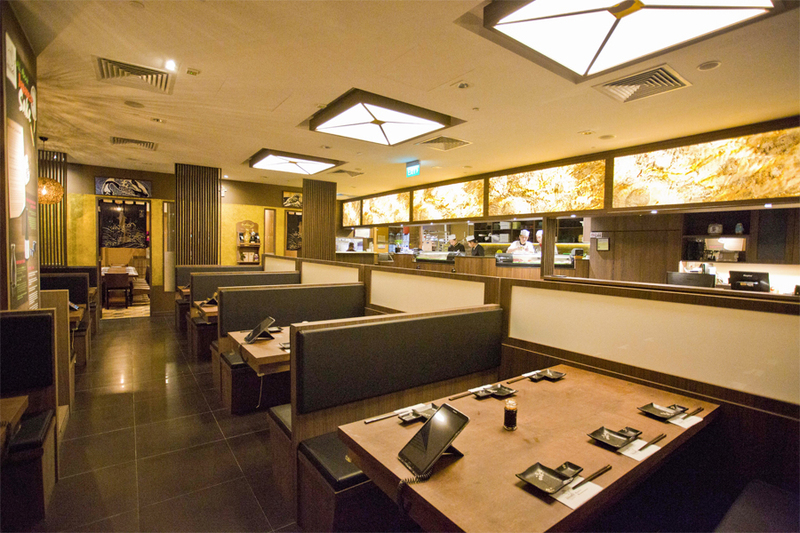 Shin Minori Japanese Restaurant has opened a new outlet in the East at Katong Square. 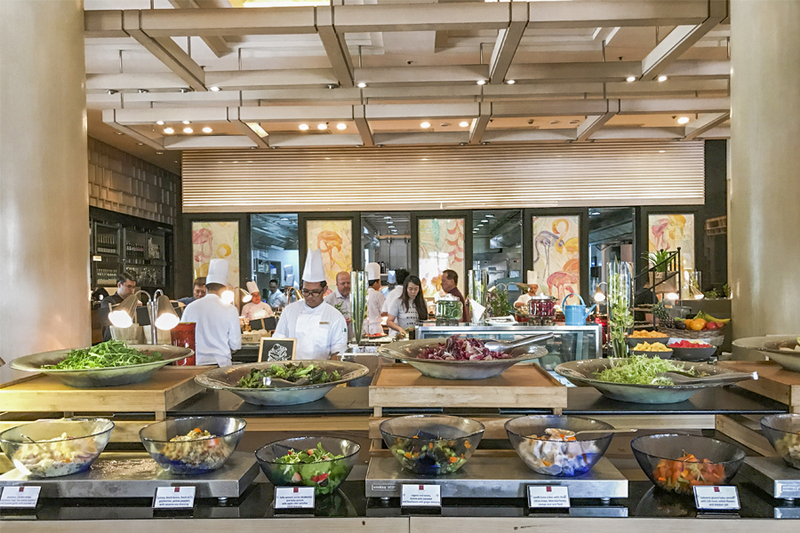 For the value-for-money lunch buffet, you get to choose from more than 160 items on an ala-carte menu. 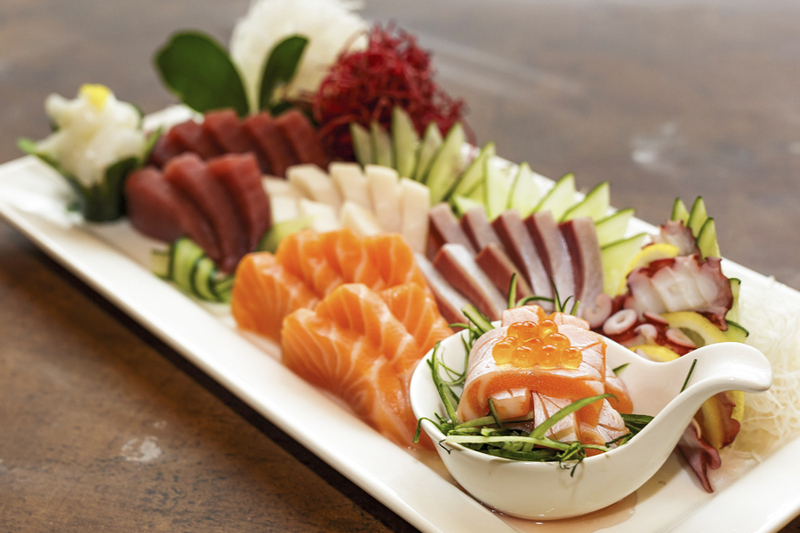 It includes 7 varieties of fresh sashimi, 21 varieties of nigiri sushi, 17 varieties of hand rolls, 24 varieties of sushi rolls, 4 kinds of teppanyaki dishes, gyoza, pizza and tempura, 27 varieties of sumiyaki dishes and over 60 types of cooked dishes. So much food. Buffet-licious Deals: Enjoy 1-for-1 deals when you pre-purchase the Buffet Lunch at Shin Minori Japanese Restaurant @ Katong Square. 7 live food theatres, 16 stations offering signature delights, and more than 100 dishes and desserts. 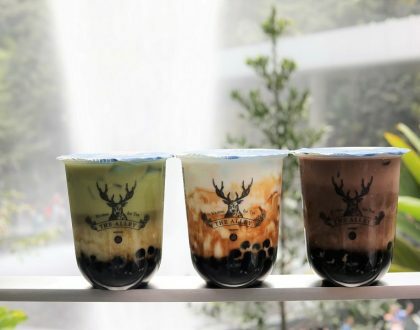 The award-winning Edge offers the freshest seafood on ice, traditional roasts, freshly-made pasta, a Farmer’s Cheese Theatre, Asian delights, Nyonya heritage food, and a huge dessert station with a Chocolate fountain. Coupled with an energetic vibe, it is without a doubt one of my favourite buffet restaurants in Singapore. Piping hot noodles have always been my weakness, and it didn’t help that the KL Tai Lok Noodles and the Nyonya Laska with Prawns stations are just opposite each other. 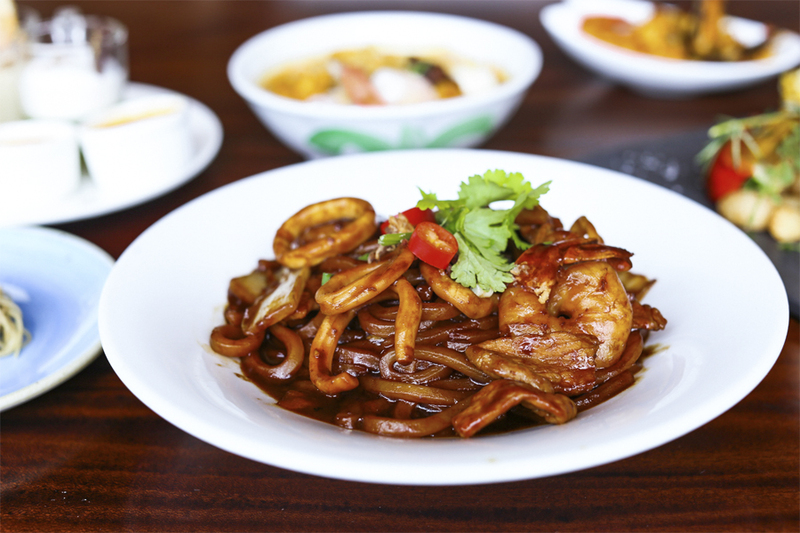 Loved, loved the KL dark sauced Hokkien Mee, which was fried with a generous amount of seafood and chicken, and completed with wok-hei. 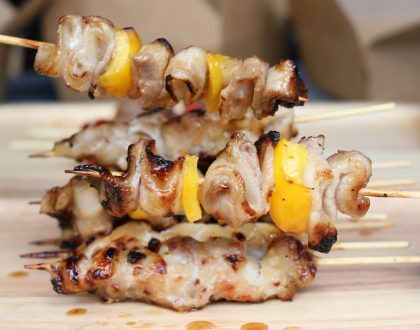 Buffet-licious Deals: Enjoy 20% off when you pre-purchase the Buffet Lunch and Dinner at Edge, Pan Pacific Hotel. 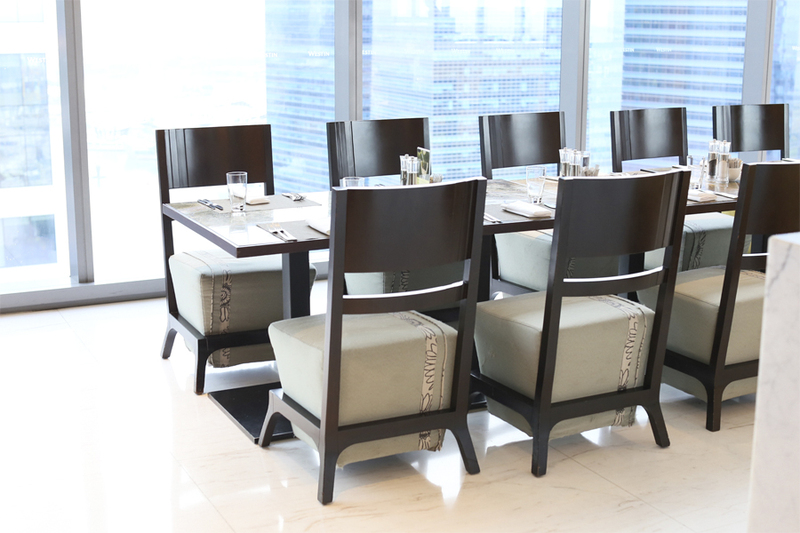 Hai Tien Lo is known for its traditional Cantonese cuisine with a contemporary twist. 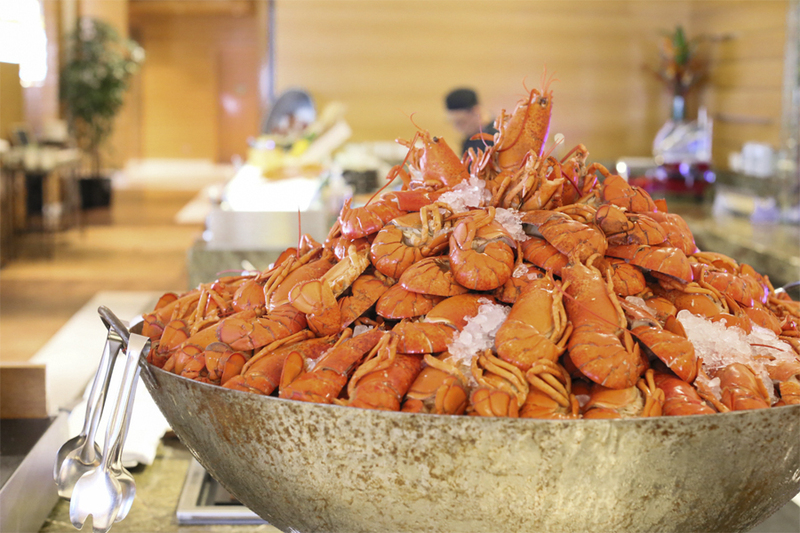 The favourites at the all-you-can-eat weekday lunch buffet includes Steamed Pork and Prawn Dumplings with Crab Roe; Deep-Fried Beancurd Skin with Prawn Paste and White Silver Fish; Steamed Spinach Dumplings with Prawns and Fragrant Minced Garlic; and Steamed Vegetarian Dumplings with Truffles. Also included are a la carte orders of Hai Tien Lo Specialty (limited to 3 choices per table) such as Barbecued Meat Duo Combination, Barbecued Honey-glazed Pork,Smoked Duck with Sesame Sauce Salad, and Stir-Fried Pork Ribs with Draft Beer. That’s not all. Each guest is entitled to a complimentary serving of Chilled Homemade Bean Curd with Bird’s Nest. 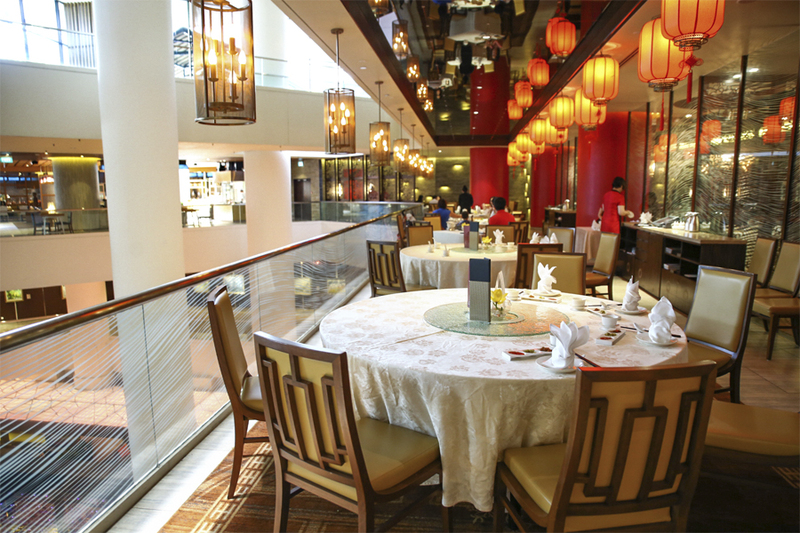 Buffet-licious Deals: Enjoy 10% off when you pre-purchase the Dim Sum Buffet Lunch at Hai Tien Lo, Pan Pacific Hotel. 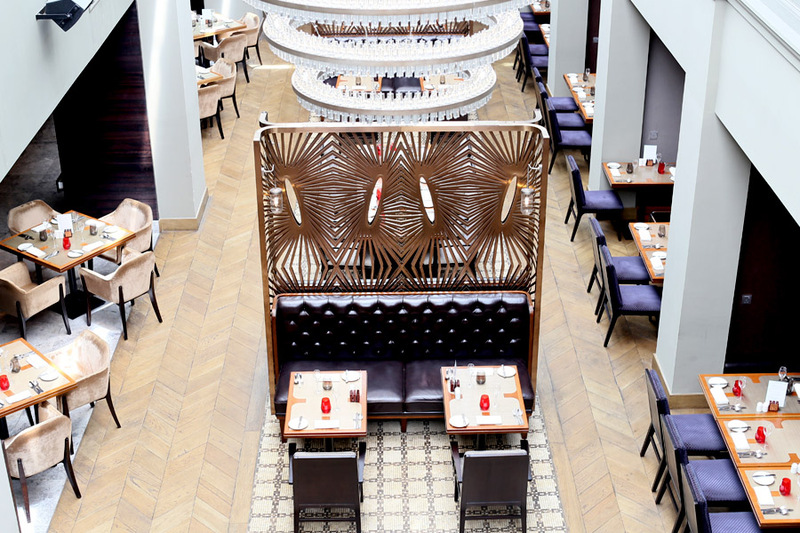 Helmed by Park Hotel Alexandra’s Executive Chef Ian Hioe, The Carvery boasts an expansive three-metre long meat carving station. 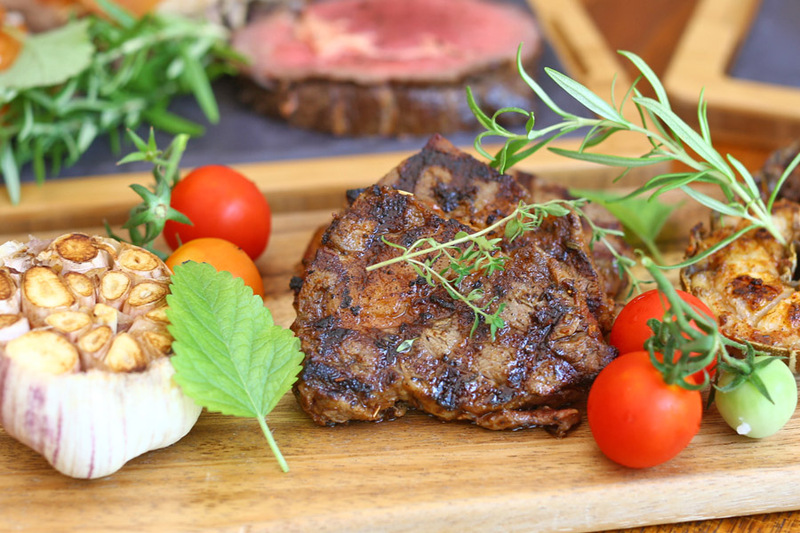 On display are three to four top-quality cuts of beef, lamb, pork and chicken, where an experienced carver is always ready to serve up the diners’ preferred cuts. For a complete carvery experience, pair your meat selection with a variety of condiments and sauces such as specialty fine salts, house-made butters (anchovy and truffle) and a myriad of sauces. This prized cut of grain-fed beef is from the back of the upper rib section of the steer and is loved for its rich and robust flavour. 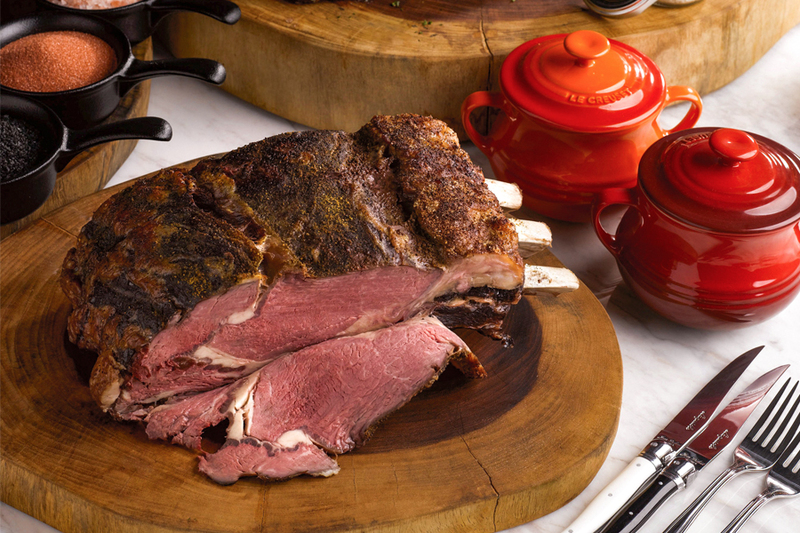 The Australian Beef prime rib is dry-aged in-house to further intensify the taste and tenderise the meat. When sliced, you get a distinct rosy pink centre cut that stretches evenly from edge to edge. Buffet-licious Deals: Enjoy 1-for-1 deals when you pre-purchase the Weekday Lunch Buffet and Weekday Dinner Buffet at The Carvery. 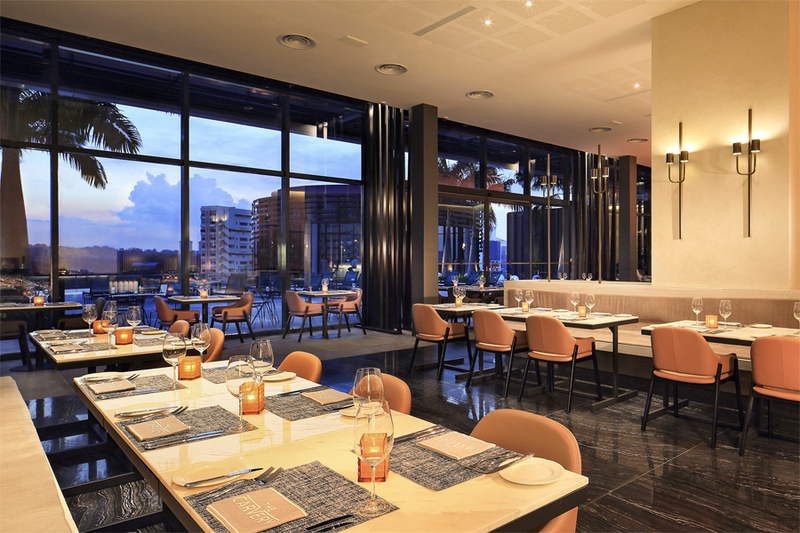 Seasonal Tastes at Level 32 of The Westin Singapore offers a live interactive kitchen concept and a panoramic view of Singapore’s Marina Bay and the South China Sea through its floor-to-ceiling windows. Its selection includes a luscious spread of the freshest seafood, crustaceans and salmon sashimi; ‘live’ carving station with a hearty selection of roasts and prime cuts; cooked-to-order pasta; and a dessert counter with instagrammable cakes and gelato. The item I would rate Number 1, was actually the last thing I had during the buffet (considering that I was already full). The in-house gelato was smooth, creamy, and packed with a distinct avocado taste. Buffet-licious Deals: Enjoy 1-for-1 deals when you pre-purchase the Dinner Buffet at Seasonal Tastes. 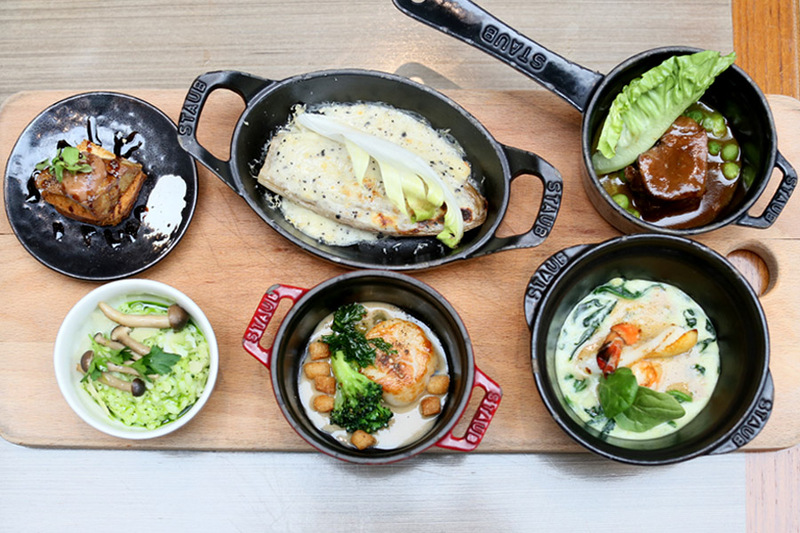 Oscar’s at Conrad Centennial Singapore has further charged its “Supercharged Sunday Brunch” with significant additions. That means more food, and even more value. Not forgetting the freshest seafood (Boston lobsters anyone?) 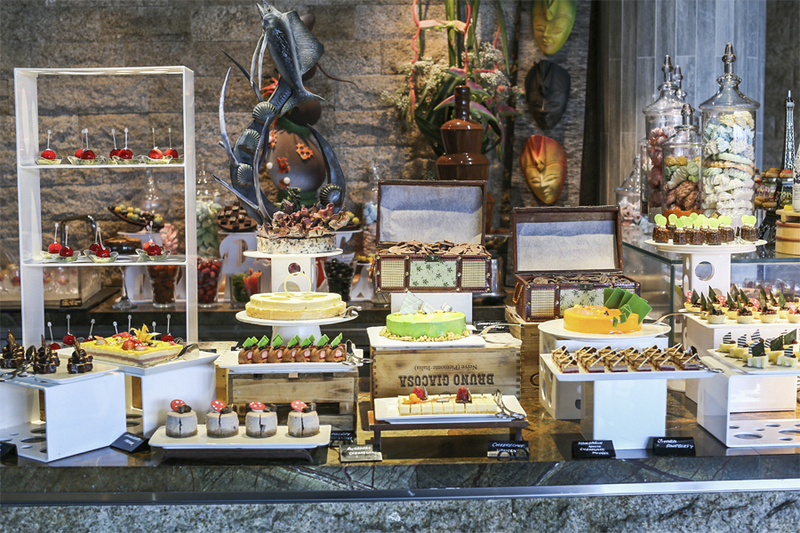 and oysters at the seafood bar, an array of international hot dishes, 4 metre-long salad bar, and decadent desserts – you certainly have to leave room for the cakes. You will be sure to smell the BBQ aroma before reaching, as the grill is located outside, at The Terrace (so don’t miss it). What you get include hot-off-the-grill fresh lobsters and prime cuts of beef with homemade sauces of blue cheese and cognac, thyme veal jus, habanero tomatillo and an Asian coconut dip. Remember to bring the number peg along, and food will be served to your table. Buffet-licious Deals: Enjoy 20% off when you pre-purchase the Buffet Lunch, Buffet Dinner and Sunday Brunch at Oscar’s. Located on the 22nd floor, Sky22 at Courtyard by Marriott Singapore Novena is one of the places for buffet in Singapore with a stunning view. It has a contemporary space featuring expansive floor-to-ceiling windows. Here, you will get to see the scenes surrounding Novena, and panoramic views of the nature. 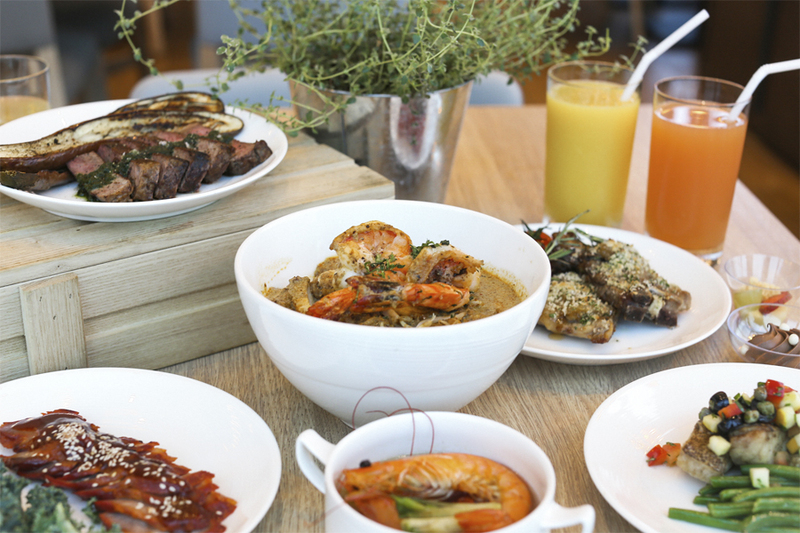 Food-wise, the focus is on healthy, wholesome culinary creations and distinctive Singaporean fare. An elevated version of the nyonya delight. This Singaporean favourite uses thick vermicelli, charred tiger prawns, quail eggs, beancurd puffs and fish cake, all dosed in a rich spicy coconut gravy. 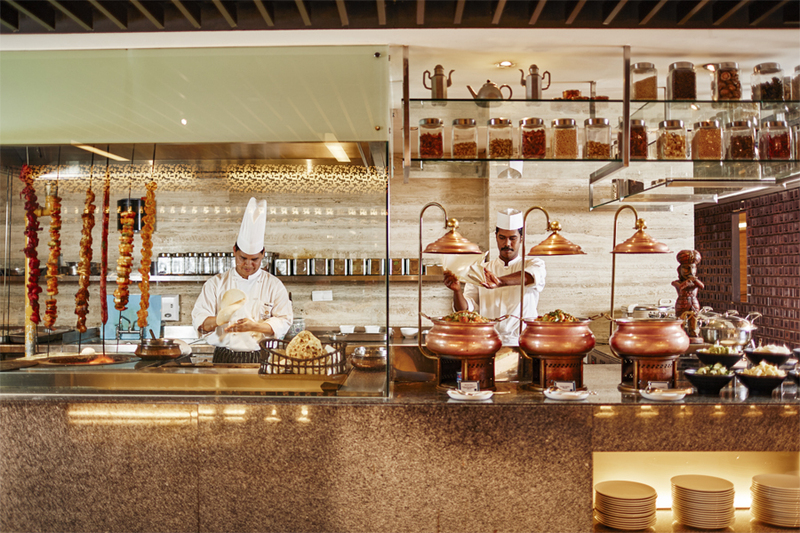 Buffet-licious Deals: Enjoy 25% off when you pre-purchase Weekend Lunch and/or Dinner Buffets at Sky22. * This entry is brought to you in partnership with Chope. The views expressed here are of DFD and do not represent views of Visa and associated companies.